A week of absence due to having the flu! I haven’t been that ill for ages . Any way, I wanted to share with you my bargain find of the week, I do like it when the postman delivers little parcels from on line shopping. It’s becoming a little addictive. 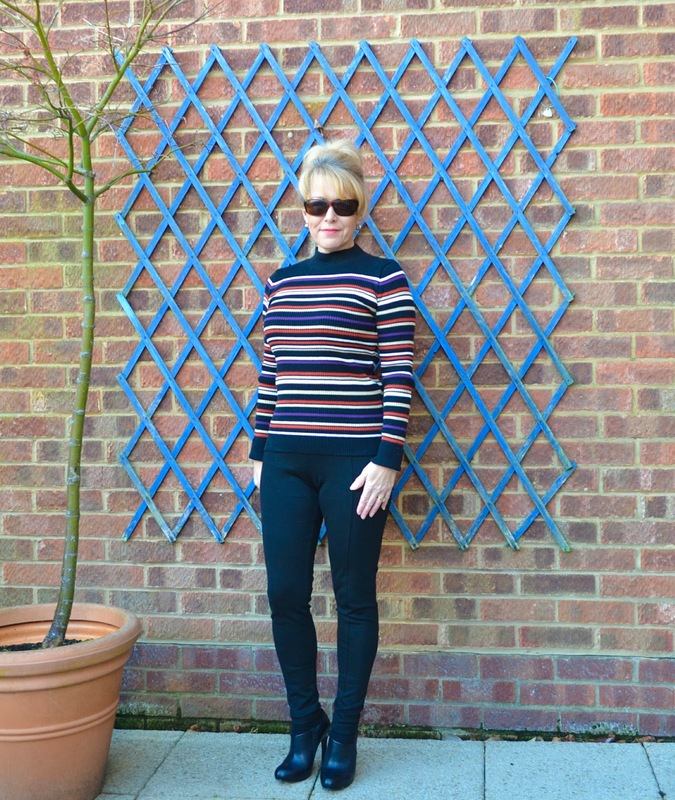 I had these leggings and polo jumper delivered from FandF Such a bargain to share…. I bought my last pair of leggings from my favourite brand , and I have to say I have not found any better anywhere else. They are a lot thicker than most brands, and keep their shape really well. I do size up on them though to avoid muffin top! The Polo neck jumper is really cosy too, easy to wear with contrasting colours. These two items for £24 is such a bargain, great for me who is penny pinching after all the Christmas shopping! You look fabulous…and the sweater is divine! Hope that you are feeling better! I found you through Fun Fashion Friday Link Up, but I have to follow you based on your tagline and this post alone! Love your style! I do hope you are on the mend. Looking very good in your new buys.